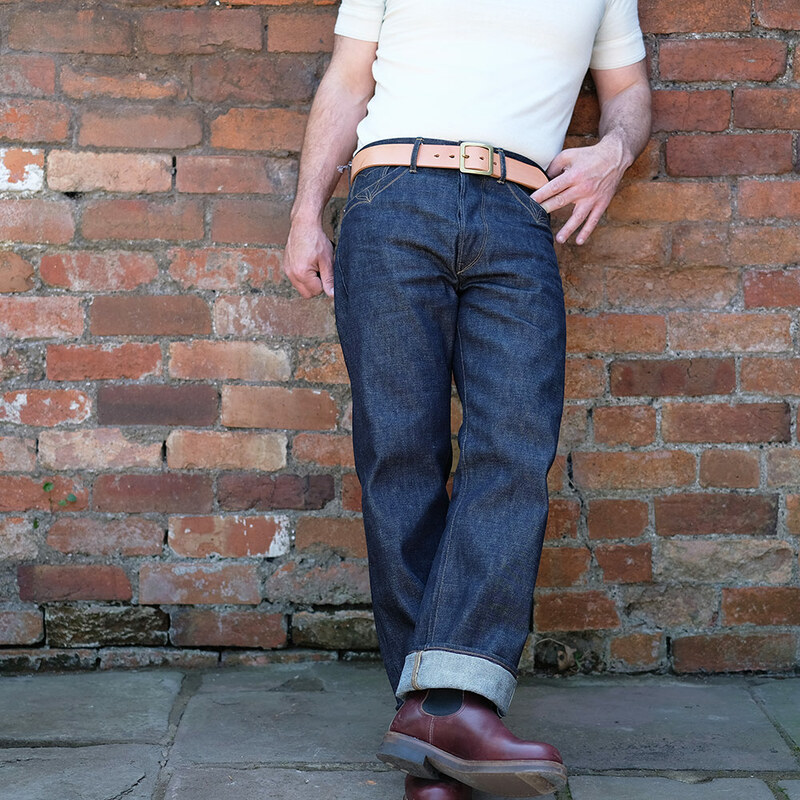 A buckle backed straight leg fit, inspired by the cut and style of early 1900’s mining workwear. 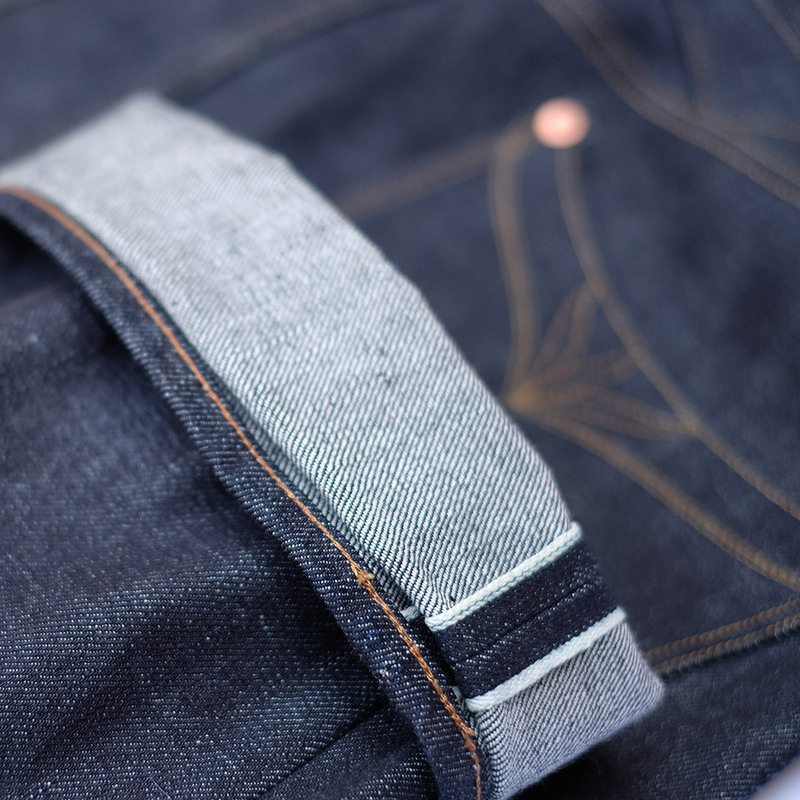 The Grass Valley jean has lots of well executed intricate details that you can’t help but admire. All in the details. 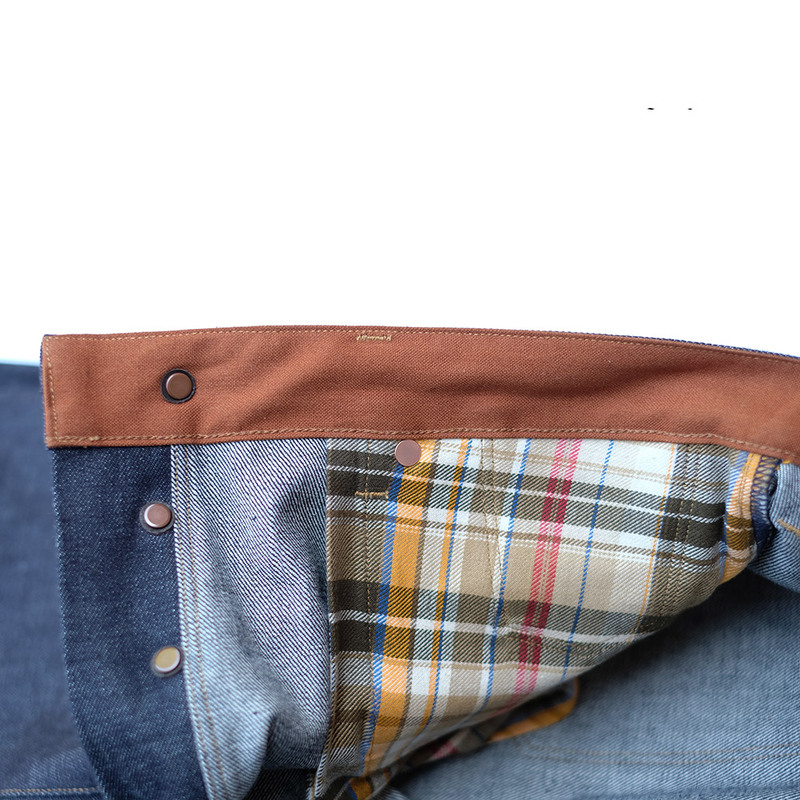 The stitch work and sewing methods employed demonstrates Stevenson’s real accuracy in vintage reproduction and ability to enhance a classic design with their own flare. 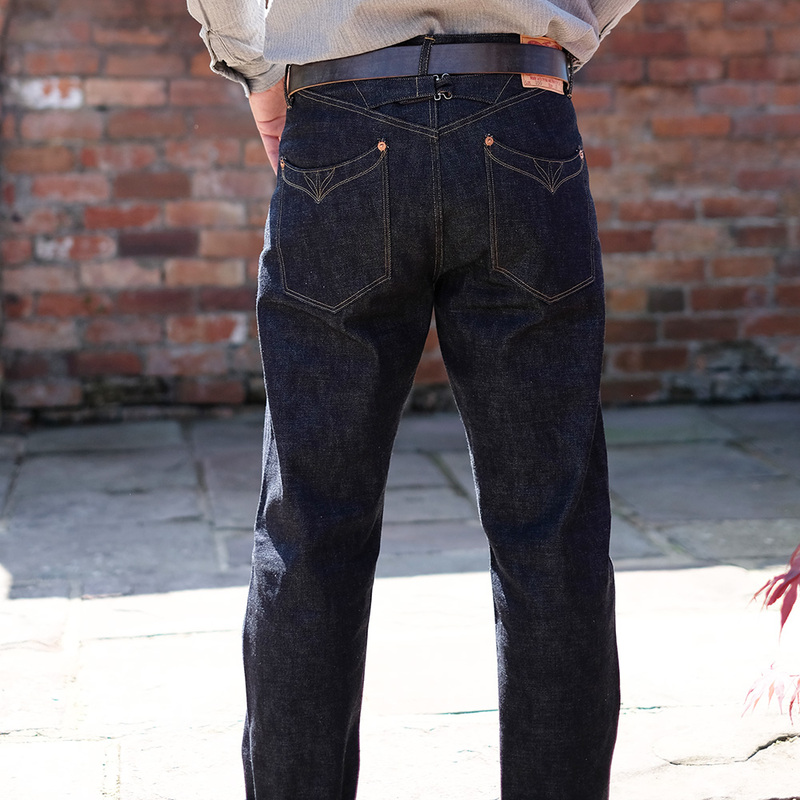 The well balanced buckle back and floral stitched scooped smiley back pockets, the one piece fly (which is not easily done), the hand drawn leather patch, the custom internal fabrics and the relaxed but not baggy fit all add up to a very well thought out pair of jeans. 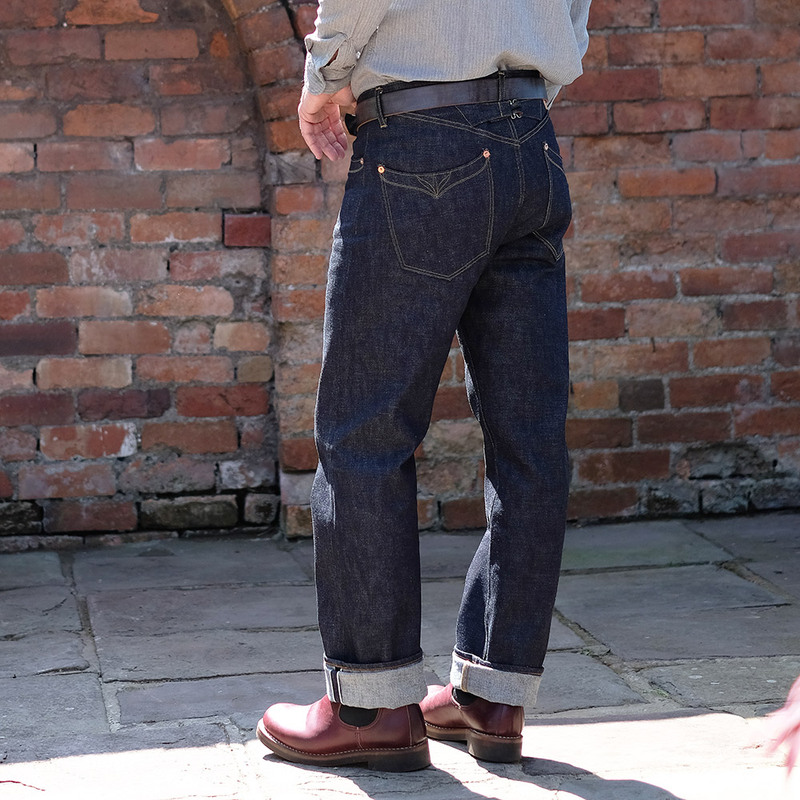 THE DENIM: is spun from long staple US cotton and custom woven for Stevenson to produce a very vintage textured dry green line selvedge. 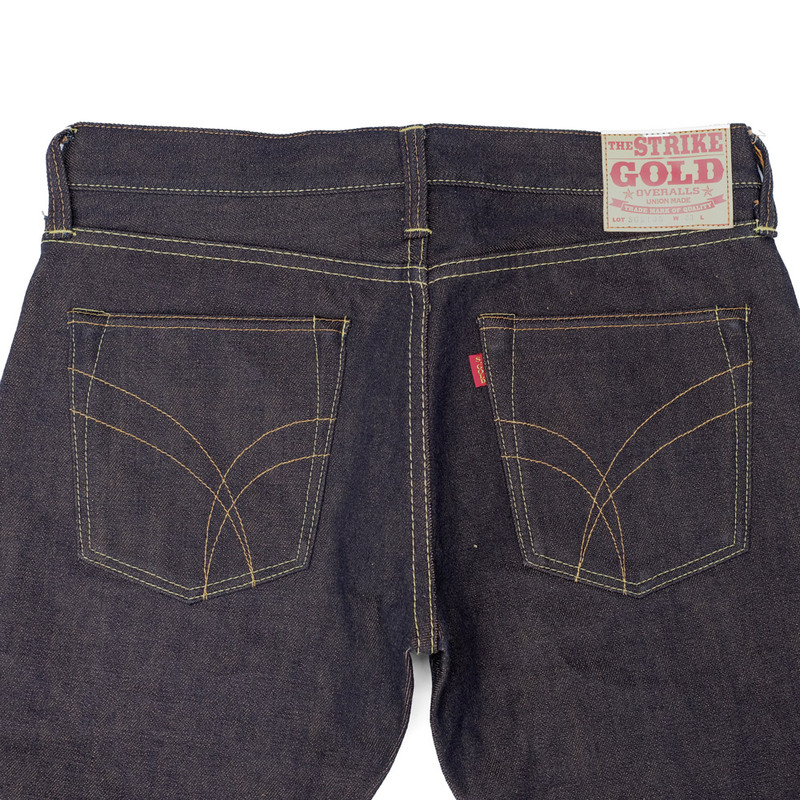 It is sanforized so shrinkage is very minimal if any and is crisp weighing in at 14oz for a nice medium weight drape. 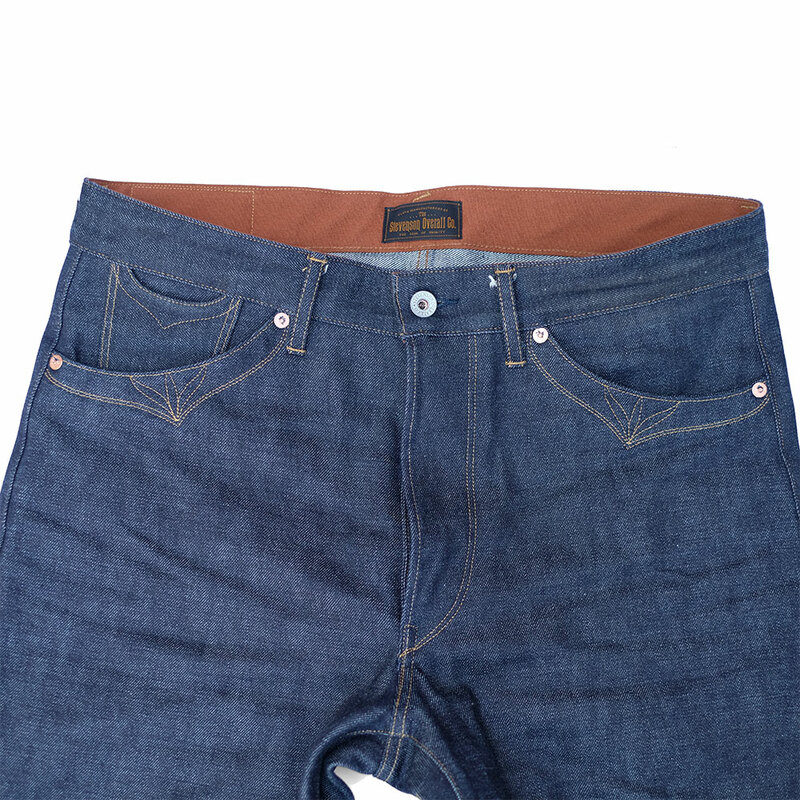 He is wearing a size 31 and wears a mix of sizes in repro denim dependent on the maker but generally wears a 32-33. 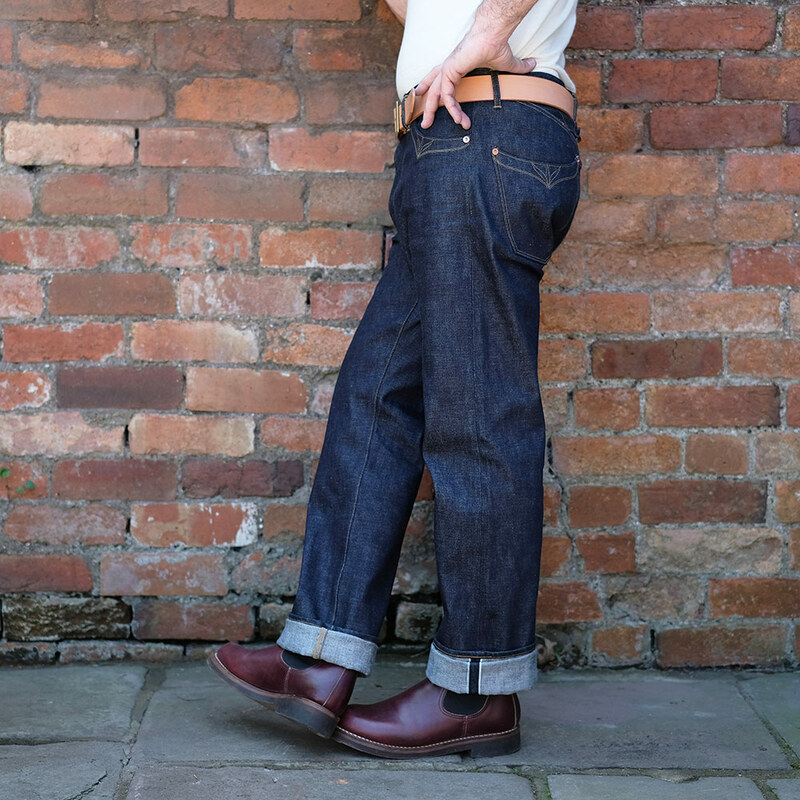 Stevenson jeans are vanity sized and the Grass Valley are sanforized (so little – no shrinkage) but will stretch out a bit with wear. We would recommend sizing down one from your typical size. Please see how we measure our products here and use the measurement chart to compare against an item of yours that fits how you would like this to.